In this newsletter, innovations around energy storage and island solutions will be highlighted with a view to showcase their positive impact to the development of off-grid markets in developing countries. The term energy storage refers to technologies that enable storing energy derived from a primary source for its use at a later time. Energy storage systems, such as batteries, convert electricity into other forms of energy (e.g. potential, thermal, chemical or magnetic energy) and then reverse this process to release electricity. Batteries can ensure reliability and availability of electricity when production is low or fluctuating. They are therefore essential in ensuring stability in rural electrification schemes that employ different renewable energy technologies. Clean energy mini-grids are particularly relevant for bringing sustainable energy to island states. It is estimated that there are more than 10,000 inhabited islands around the world and an estimated 750 million islanders. Many of these islands rely on diesel generators for their electricity production and spend a considerable percentage of their gross domestic product on the import of fuels. The remote location and highly volatile fuel prices, as well as the lack of infrastructure means constant diesel imports are costly and a risk to security of supply. In many islands, such as in the case of Sumba Iconic Island (see case study below), renewables have already proved to be a cost-effective replacement for diesel generators, creating an important market for off-grid renewable energy systems and autonomy for the island. Although investments have grown in recent years, they are far from sufficient to reach universal energy access goals. 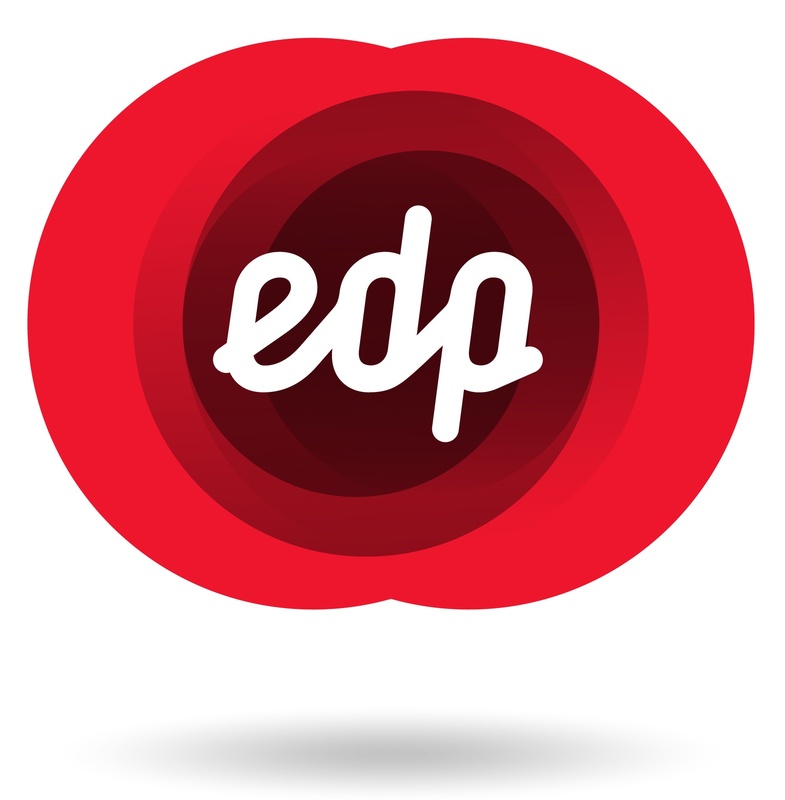 To address this need, ARE, together with Energias de Portugal (EDP) and the African-EU Renewable Energy Cooperation Programme (RECP), is organising the ARE Energy Access Investment Forum in Lisbon next month. You are very welcome to join the Forum to discuss market conditions, key policy initiatives, business opportunities and to showcase financial and technical instruments supporting rural electrification projects in developing and emerging markets. Given the limited public resources available for energy access, it is clear that the private sector will need to play a growing role to scale-up off-grid renewable solutions in developing and emerging countries. With that said, ARE continue to be the private sector focal point for off-grid and is pleased to welcome its newest members for 2017: Capta Hydro, Entiba Energy, Industrial Solar Consulting Inc., Kingspan Wind, Ludewa Clean Energy Limited, Multi Source Power and NRECA International. Why do we exist? This is a question that every organisation should ask itself once in a while to step out of the daily activities and reflect on why we do what we do. At the Vlerick Business School, a triple-accredited, international business school at the heart of Europe, we recently did such an exercise under the guidance of our Dean Marion Debruyne, and we concluded that the experience we provide is about transforming people for a better world. Then, we reflected on what that means for us. Transforming people is about challenging the status quo, being always a student, and inspiring people to change themselves continuously. A better world for us is about using business as a positive force, we want to inspire our students to become generous leaders that can thrive in a changing world. How can we do that as a business school? We can do a lot on campus, but we are increasingly looking for ways to expose our MBA and Masters students to new experiences where faculty become coaches and organisers of experiences rather than lecturers. Two examples of such experiences are in-company projects and boot camps; and for both we signed an MoU with the Alliance for Rural Electrification. In-company projects means that students work as consultants for a company that provides them a management challenge they have to solve; within a period of weeks or months depending on the program. The projects are supervised and evaluated by the company together with a faculty member. Typical examples are to develop a financial plan for a new business unit, to design a marketing campaign for a new product, or to challenge and improve the sales process or business model of a company. The new generation of students is increasingly looking for projects in social impact companies and innovative start-ups. Off-grid renewable energy initiatives across the globe are the perfect example of the kind of projects that they are looking for, and where our students have also shown to be able to make a difference. We have had the pleasure of coaching some of these projects, and we have been really impressed by what a set of fresh, innovative young brains can achieve in an innovative and fast growing industry like the off-grid industry. Several ARE Members have worked with our students, and Vlerick signed an MoU with ARE for two main objectives: firstly, to well prepare young professionals for an international career in clean decentralised energies and secondly, to facilitate knowledge transfer to companies with socio-economic interests in order to help them become more competitive. We also hope that this initiative will inspire other business schools to join ARE so we can create an Alliance of Business Schools to support the Alliance for Rural Electrification. Bootcamps in our school means that students are exposed to a 3-week optional course in which they are indulged in testimonials by companies in a certain sector or domain and they also work on a challenge of one or several of these companies. We have boot camps on fintech, healthtech, and now also on renewable energy. The renewable energy boot camp promotes sustainable energy for all which is essential to ensure sustainable business and economic development in emerging and developing economies. The boot camp will start on our campus in Brussels and end at the ARE Energy Access Investment Forum in Lisbon in March. We will come to Lisbon with a group of 34 highly motivated and international group of Masters and MBA students from Vlerick Business School. If you want to discuss with young brains to push innovation in your industry, see you in Lisbon or contact Leonardo Meeus and Samson Hadush! The Clean Energy Solutions Center helps governments, advisors and analysts create policies and programs that advance the deployment of clean energy technologies. The Solutions Center is an initiative of the Clean Energy Ministerial (CEM), a global forum to share best practices and promote policies and programs that encourage and facilitate the transition to a global clean energy economy. The Clean Energy Solutions Center is a Web-based resource that helps governments design and adopt policies and programs that support the deployment of clean energy technologies. The Solutions Center’s three main offerings are Ask an Expert policy assistance, training and peer-to-peer learning forums and a rich library of technical tools and publications. These services are provided at no cost to users. The Solutions Center provides a vital service by linking those seeking advice and information with a policy expert who can help them achieve their goals. The Ask an Expert service matches policymakers with one of the more than 50 global experts selected as authoritative leaders on specific clean energy finance and policy topics. The Solutions Center offers peer learning and training through webinars, videos and other resources. The Solutions Center teams with experts and organizations around the world to share diverse views and perspectives through webinars featuring expert commentary and question-and-answer sessions. For more specific training needs, the Solutions Center provides customised training and peer exchange programs on request. The Solutions Center provides access to the most relevant and current reports, data and analysis tools related to clean energy policy, with thousands of technical resources available. The Solutions Center screens resources and posts those deemed most authoritative, objective, and relevant for busy policymakers and analysts. The Solutions Center also offers policy briefs on topics ranging from technology-specific policies to financial incentives and codes. Primarily sponsored by the United States, Australia and Sweden, the Clean Energy Solutions Center leverages expertise from Clean Energy Ministerial countries and partners with over 40 international organisations. The Solutions Center also offers coordinated support with the Climate Technology Centre & Network (CTCN). Our first collaboration with ARE came in the form of webinar on productive uses earlier this year. 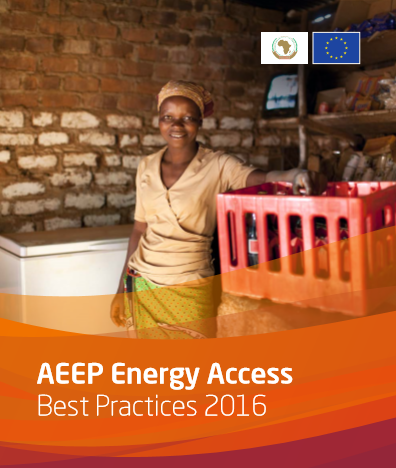 ARE Policy & Business Development Manager David Lecoque was invited to present the role of distributed energy solutions in enabling and promoting enterprise development in sub-Saharan Africa via the recently launched AEEP Energy Access Best Practices 2016, on behalf of the AEEP Energy Access Work Stream. The webinar was followed by over 140 participants around the world and we look forward to future collaboration between NREL and ARE. To get started with an expert or learn more, contact the Clean Energy Solutions Center. Solar modules are a convenient technology for powering homes and small enterprises. However, the installation of all the parts needed for actually bringing the power from the sun into the house can often become a complex process: Which solar modules require what kind of charge controller? Which inverter is needed? What is the set-up for ensuring optimum yield? The innovative P-Box by solar charge controller expert Phocos is the answer to all these questions. The P-Box was specifically developed as an economical, safe plug and play solution for optimum power output from solar modules. The P-Box is a complete cabinet with all required components, ready for use anywhere. All the user has to do is connect solar modules and battery. The P-Box is modular and built for optimum flexibility and serviceability: Units can easily be replaced and the P-Box upgraded if new power demand is required. The P-Box is available in a 1-phase or a 3-phase version. As it can be used with all types of solar modules, the operator is free to select the modules that best match the technical conditions. 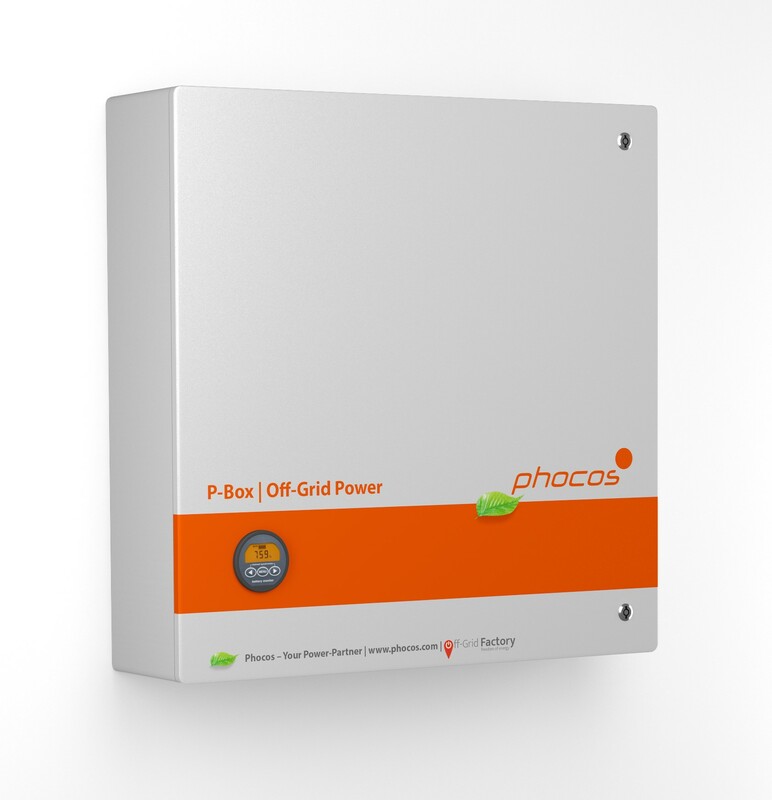 Phocos offers several P-Box models for applications from 350 W to 10,500 W.
A special feature of the Phocos P-Box is the integration of Phocos’ MPPT charge controller and inverter. MPPT technology can contribute to a considerable boost in energy output from PV modules. MPPT charge controllers are particularly indicated for moderate and colder climate areas where PV module voltages tend to be higher. In addition, they help reduce system costs and extend battery lifespan. The combination of MPPT charge controller and inverter makes the P-Box an ideal solution for power demanding applications. In addition, it can be upgraded with telecommunication and remote control options as well as data logging, display and monitoring solutions. A further advantage is the possibility to customise the external cabinet appearance. 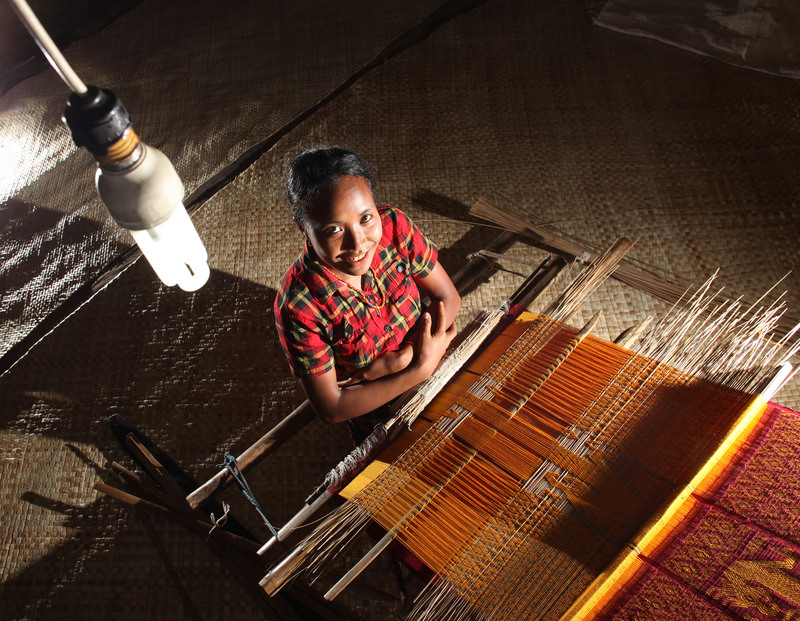 Energy as the driving force for development is at the heart of the Sumba Iconic Island Initiative. It is a bold multi-actor intervention that seeks to serve the energy needs of over half a million people on the remote Indonesian island of Sumba through 100% renewable energy sources. 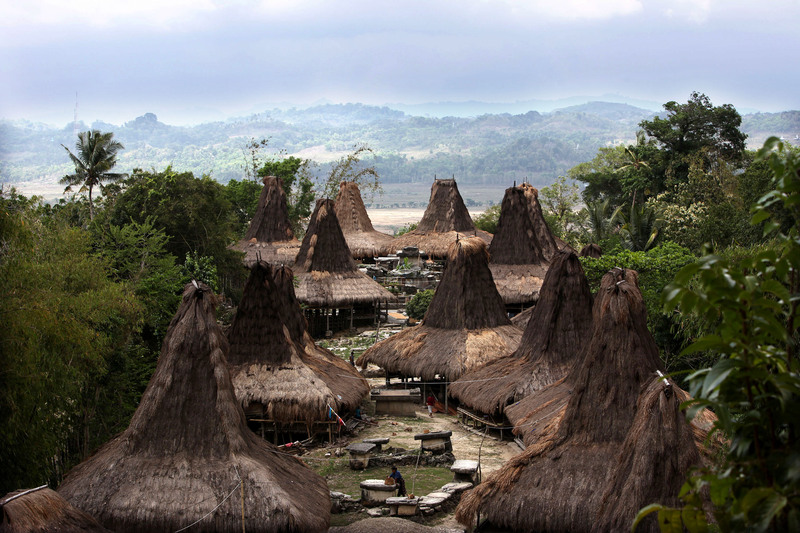 In 2010, access to energy in the island of Sumba was very limited. 70% of households relied on kerosene and firewood for lighting and cooking, causing pollution and health problems. Most buildings ran on generators fuelled by expensive imported diesels. Energy scarcity left acres of land uncultivated and enterprises untapped. On the other hand, Sumba has abundant renewable energy resources. Its rivers are excellent for solar energy and hydro power. Wind energy resources are virtually unlimited and there are large opportunities for biomass, including biofuels and biogas. To tap into this potential, Hivos, supported by the Ministry of Energy, started the Iconic Island initiative in 2011. Through a multi-stakeholder collaboration with government, CSOs, the state electricity company, the private sector and donor, the initiative has installed gave way to the implementation of 14,868 solar powered plants, 12 micro-hydro plants, 100 mini-wind powered plants and 1,173 biogas home-installations. By the end of 2015, the initiative contributed to the increased electrification rate in Sumba from 24,5% in 2010 to 42,67% – of which nearly 17% of it was generated by renewable energy. By 2018, Hivos, with social enterprise Village Infrastructure Angel and local NGO Yayasan Rumah Energi, hope to further scale up renewable energy access. The scale plan includes the provision of 7,000 re-chargeable PV lamps through 25 solar PV charging systems for schools and 20 energy kiosks in selected villages. Farmer communities will benefit from 50 solar PV micro mills systems that will ease processing of staple crops. Based on the tested business model of Hivos’ successful semi market-based biogas programme (BIRU), 3,200 biogas digesters will be installed – delivering renewable energy for cooking and lighting and bioslurry, a marketable organic fertiliser. Furthermore, to overcome the huge challenge of off and mini-grid sustainability, a Renewable Energy Service Center (RESCO) will be established in cooperation with a small start-up private entity to serve as the operations hub for conducting business and technical activities related to installation, operation and maintenance. The success of the initiative is not limited to the island of Sumba. It proved to be an inspiring example for the Indonesian government to invest in renewable energy solutions throughout Indonesia. Mumbai hosted a specialised International Conference and Expo on Energy Storage and Microgrids with over 250 delegates and over 1,000 visitors on 12-13 January 2017. 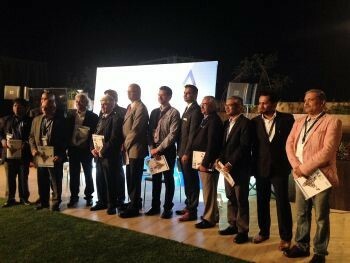 The 4th edition of Energy Storage India Conference and Expo was organised by ARE Member Customized Energy Solutions and ARE Partner Messe Dusseldorf India, powered by India Energy Storage Alliance (IESA). To add to the discussion on the main challenges of planning a microgrid, ARE Board Member Karl Kolmsee from Smart Hydro Power was invited to present his experience on setting up microgrids in India. To deepen its activities in India and to create business opportunities to its five members, ARE has also partnered with Intersolar India in Mumbai on 5-7 December 2017. Interested companies who wish to collaborate should contact Jens Jaeger, who coordinates ARE activities in Asia. 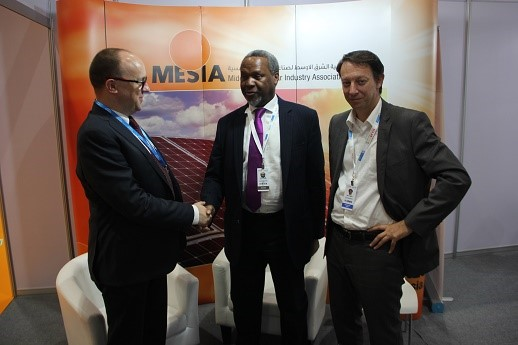 Wim Alen, General Secretary from Middle East Solar Industry Association (MESIA) and ARE Board Member Anthony Ighodaro from KXN Nigeria on behalf of ARE signed a memorandum of understanding on 19 January 2017 for a strategic cooperation to support each other to further promote the clean electricity generation in the MENA and emerging countries. Together we will help close the gap between private sector and institutions, governments/agencies and NGOs/civil society. Interested parties should contact Jens Jaeger who is responsible for the coordination of ARE activities in Asia. 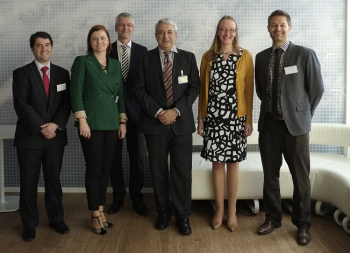 As part of its mandate to promote sustainable energy access in Africa, Asia and Latin America and to promote dialogue on this topic, the EU Energy Initiative Partnership Dialogue Facility (EUEI PDF) hosted a discussion forum in Brussels on 31 January 2017 on the link between sustainable energy access and migration. Over 80 experts from the field of humanitarian aid, development cooperation, politics and business gathered in Brussels to discuss this topic. The Forum addressed the need to explore the current and potential contribution of energy development solutions to the migration debate bringing together experts from the energy and migration community, humanitarian agencies, private companies, researchers and local authorities. ARE Board Members Aaron Leopold from Practical Action and Guilherme Collares from EDP were invited to discuss the role that energy access plays in tackling the root causes of migration and to identify better solutions for energy access in humanitarian settings. Practical Action’s “Poor People's Energy Outlook” (PPEO) highlights the practical, decentralised energy solutions that will meet poor people’s prioritised needs, and helps inform discussions about the appropriate minimum levels of energy access policymakers should be aiming for, both nationally and within the sustainable development goals. By reporting from a poor population perspective, the report calls for a general focus in the energy sector on resource consumption, network-based energy supply and large-scale infrastructure to be geared to consumers and the needs of poorer population strata. 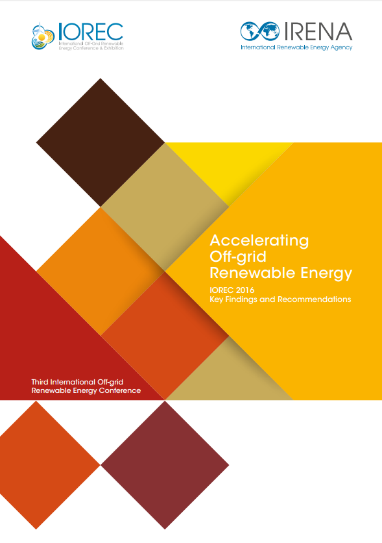 The report concludes that the expansion of renewables can be implemented more rapidly and in a more target group-oriented manner with decentralised approaches. 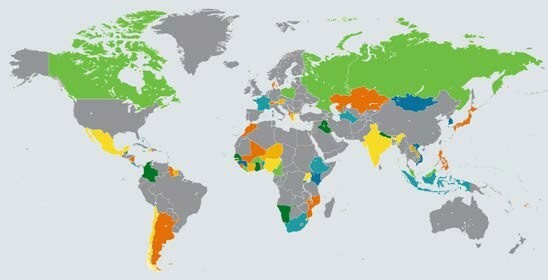 This is indispensable if the world community wants to create an adequate and affordable energy supply for all by 2030. 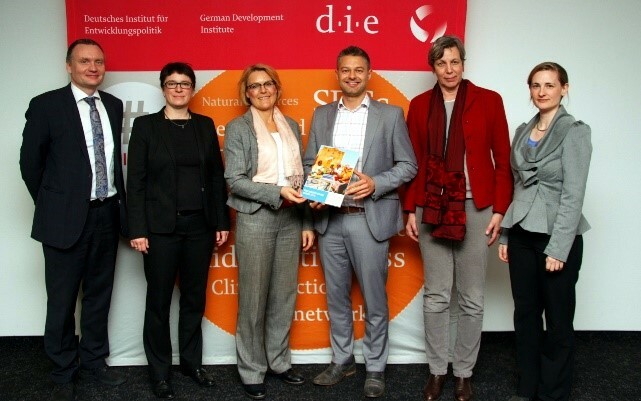 With the presentation of the current Poor People's Energy Outlook in Bonn, Germany on 2 February 2017, one of the challenges highlighted was how to make projects economically viable as people tend to prioritise residential and community needs over productive use. 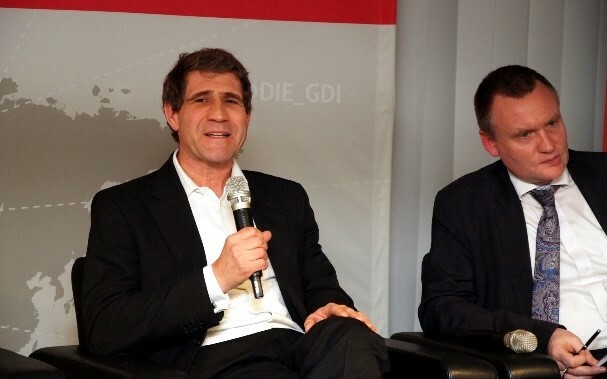 ARE Board Members Aaron Leopold from Practical Action and Karl Kolmsee from Smart Hydro Power gave insights from ARE to over 30 participants on how poverty-oriented energy planning can be beneficial in the long run as part of a panel discussion. A major barrier to investments in access to energy in developing countries is the lack of access to seed, mid- and long-term capital. The Electrification Financing Initiative (ElectriFI) was created as a financing scheme to bridge the gaps in structuring and financing, stimulating the private sector, and mobilising financiers. Its mission is to grow viable businesses and projects that create new connections to affordable, reliable, and sustainable energy in developing and emerging markets. ElectriFI was launched at the beginning of 2016; now with more than €100 million from the EU and USAID to invest in early stage risk financing for renewable energy entrepreneurs to boost access to sustainable electricity. ElectriFI immediately met with great interest from project promoters and the first funding has been approved. The 2nd Call for Investment Proposals is currently open until 8 March 2017. For this round, ElectriFI is planning to invest across a range of business models, technologies and geographies. It will give consideration to projects that contribute to direct new connections to electricity, the installation of renewable energy capacity, are replicable/scalable and have a financial sustainability. The application form and investment criteria and guidelines for the call can be assessed online. To achieve the ambitious international clean energy, energy access and climate goals (SEforAll, AEEP, UNFCCC), current levels of investment will need to increase. It is widely agreed that private investment will need to complement public resources if these ambitious goals are to be achieved. However, there appears to be a shortage of viable clean energy investment projects in sub-Saharan Africa which are ready to attract financing. Strategic public sector support in the early and risky stages of project development could therefore play an important role in boosting project pipelines and thus support emerging African renewable energy markets. 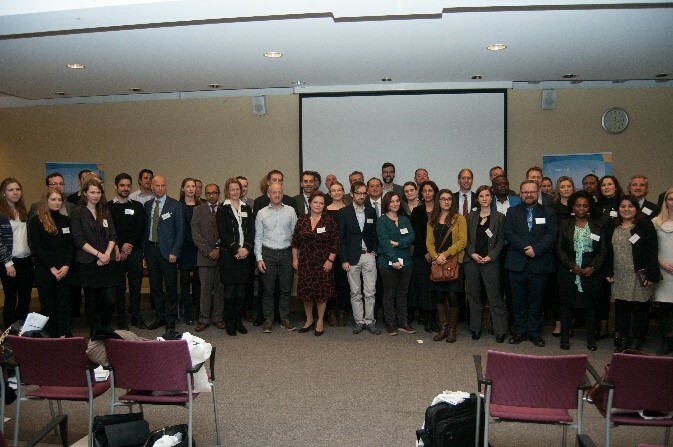 The Climate Change Service of the Belgian Federal Ministry of the Environment and the Africa EU Renewable Energy Cooperation Programme (RECP) have jointly organised a one-day roundtable event in Brussels, Belgium on 16 February 2017 to discuss options for public development partners to provide early-stage project development support dedicated to fostering private sector initiatives in renewable energy in sub-Sahara Africa. 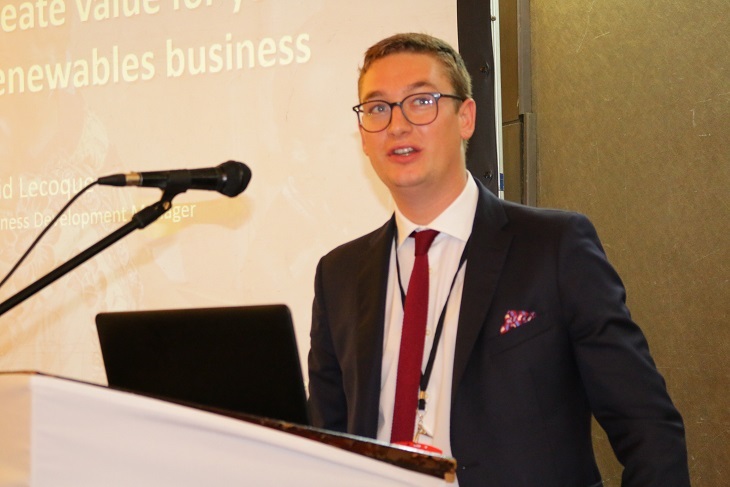 ARE Policy & Business Development Manager David Lecoque participated in the discussion and continued to further build the ARE network with relevant stakeholders, in particular donors. The next ARE Annual General Meeting (AGM) will take place in Lisbon, Portugal on 21 March 2017. During this event ARE Executive Director Marcus Wiemann and his team will explain their plans on how the association will help its Members who are passionate about energy access to deepen their footprints in Africa as well as in Asia and Latin America. ARE, in partnership with Energias de Portugal (EDP) and the African-EU Renewable Energy Cooperation Programme (RECP), has the pleasure to invite you to the ARE Energy Access Investment Forum in Lisbon, Portugal on 22-23 March 2017. The aim of Day 1 is to discuss market conditions, key policy initiatives, business opportunities and showcase financial and technical instruments supporting rural electrification projects in developing and emerging markets. On Day 2, participants will also be offered the chance to meet their next business partner or financier and to advance existing projects at different stages of maturity through structured B2B and B2Finance sessions. 34 Masters and MBA students from Vlerick Business School will also be offering free business consultancy services to six pre-selected companies. The ARE AWARDS 2017 will highlight the energy access work done and results achieved by the most passionate and innovative stakeholders and to stimulate the exchange of knowledge. The Young Energy Access Leaders Awards, organised by the Energy Access work stream of the Africa-EU Energy Partnership (AEEP), will acknowledge up to five young leaders for their contribution to bring sustainable energy access to Africa. The Sustainable Energy Southern Africa Forum organised by the Energy Access work stream of the Africa-EU Energy Partnership with the support of Practical Action, ARE, the Africa-EU Renewable Energy Cooperation Programme (RECP) and hosted by the Zambian Ministry of Energy and COMESA closed in Lusaka, Zambia on 1 February 2017 amid a suite of positive outcomes that will support the SEforALL Action Agenda in Southern Africa. In particular, the Forum, which attracted a total of more than 230 participants from the public and private sector, civil society as well as media, of which two-thirds were from Southern Africa, contributed to establishing multi-stakeholder partnerships, which help push towards the achievement of the three goals of SEforALL. 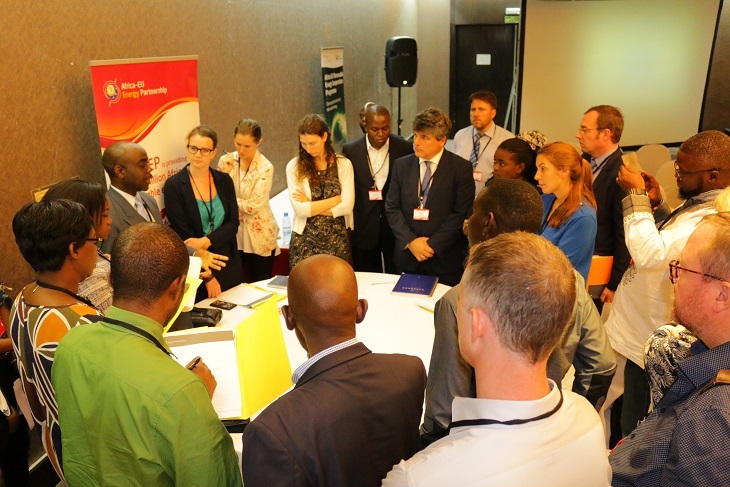 Moreover, the event featured insights on the status of the SEforALL process in Zambia (e.g. draft Action Agenda (AA) and Investment Prospectus (IP) under review, several financing instruments for clean power), roundtable café discussions on different energy access topics, power pitches and panel discussions on key donor programmes stimulating clean rural electrification as well as perspectives on the energy sector from other sectors and sharing of regional experiences for decentralised energy. Finally, to highlight the large potential for renewable energy in Southern Africa, the Forum concluded with suggestions on the way forward (e.g. finalise AA and IP, multi-stakeholder consultation, link with other sectors, increase finance and active cooperation with private sector) as well as closing remarks from Ambassador Filippo Scammacca del Murgo e dell’Agnone, Italian Ambassador to Zambia. The SEforALL Africa Hub hosted by the African Development Bank in partnership with the African Union Commission, the NEPAD Agency, UNDP, the SADC Secretariat (representing the Regional Economic Communities) and in collaboration with the SEforALL Global Facilitation Team will organise the 4th Annual SEforALL Africa Workshop. The workshop will review the state of play of the advancement of SEforALL country action in Africa, discuss how to accelerate the implementation and financing of the priorities identified in the SEforALL Action Agendas and Investment Prospectuses under development in many African countries, and explore how to ensure a maximum degree of synergies with other key initiatives on the continent, including the Africa Renewable Energy initiative (AREI) and the New Deal on Energy for Africa. The workshop will bring together African institutions, SEforALL focal points, development partners active in Africa, private sector and civil society representatives. The Africa-EU Renewable Energy Cooperation Programme (RECP) cordially invites project developers, manufacturers, service providers, consultants, regulators, and local financial institutions involved into the solar and biomass energy to participate in the trade mission to Nigeria from 2–6 April, 2017. 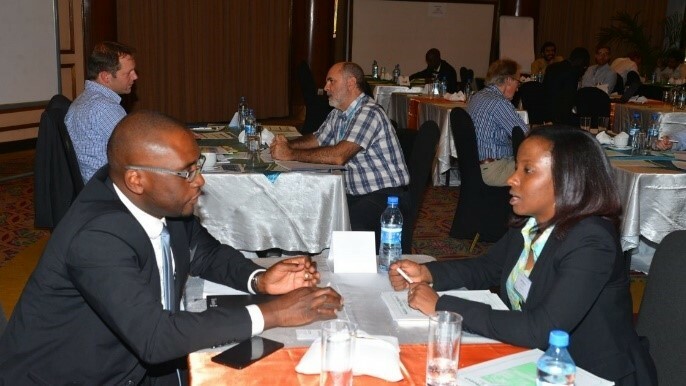 The trade mission will consist of up to 15 European companies from the solar and/or biomass energy industry interested in the Nigerian market to build and create business connection and opportunities with up to 20 companies from Nigeria and 5 companies from other African countries. Through extensive networking and business match-making sessions, the trade mission will enable participants to identify new business opportunities, exchange know-how, and find partners for joint business development. Participants will be able to forge strong connections with potential business partners, identify technology solutions from leading European providers and engage with relevant financiers and Investors. The Forum will target solutions for accelerating and scaling energy access and energy productivity. The 3rd IEF-OFID Symposium on Energy Poverty, hosted by the government of Tunisia, will gather participants from African Countries, representatives from governments and industry, multilateral and bilateral organisations, finance institutions, and aid agencies to discuss how to address this crucial issue and identify ways and means to help eradicate energy poverty and achieve universal access to modern energy services by 2030.
review the policy landscape and the investment requirements, and demonstrate examples of investment options. This is the inaugural issue of a quarterly assessment of the latest developments in distributed energy and electrification in emerging or remote markets. The most noteworthy recent development has been two investments from Africa-focused private equity funds in pay-as-you-go solar home system companies, which are increasingly viewed as a new category of infrastructure investment. 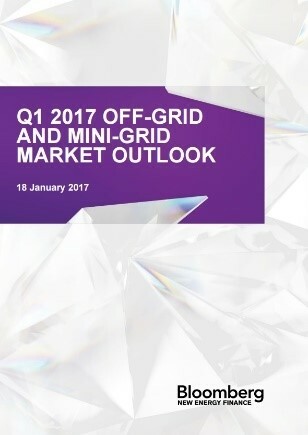 Meanwhile, storage providers are leading the charge to make mini-grids part of the solution to Africa's supply shortage. In India, rooftop solar is expanding rapidly in scale and sophistication and is joined by a rising number of solar irrigation projects. Energy storage deployments in emerging markets worldwide are expected to grow over 40 percent annually in the coming decade, adding approximately 80 GW of new storage capacity to the estimated 2 GW existing today. 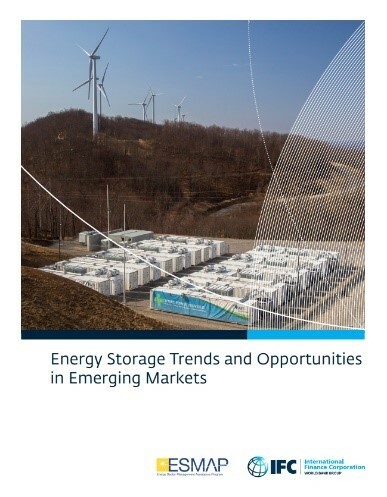 This report will provide an overview of energy storage developments in emerging markets along with details on the services ESSs can provide at the utility-scale, in buildings, and in remote power systems. Key trends and barriers for the technology in emerging markets will also be explored in depth. Finally, case studies are included to highlight successful projects around the world that demonstrate both the challenges and potential for energy storage in emerging markets. RECP supports European and African entrepreneurs through the provision of dedicated market information. A clear understanding of a market’s regulatory framework, the most relevant institutional stakeholders and the local renewable energy resource potential is key for any entrepreneur interested in Africa’s renewable energy markets. RECP has therefore developed basic market briefings that provide this general level of information for a limited number of African markets. RECP is also collecting relevant external resources such as market reports and databases from its partners and network that provide relevant additional information. On top of that, RECP is developing comprehensive market studies for its focus countries (currently Nigeria and Rwanda) that provide in-depth market segment analysis and research.